Atlanta skyline lights up as the evening sets in. Atlanta, Georgia. 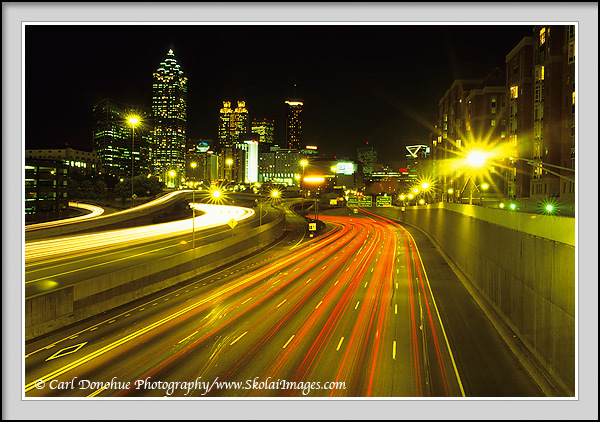 View from North Ave, over the connector, interstates I85 and I75.